May 15, 2018, 3:30 p.m. This is the first installment in a series that delves into the latest insights from the YouGov Affluent Perspective 2018 Global Study. Each year, we study the lives, values, and shopping habits of the world’s most successful households. The global expansion in the number of wealthy households and the assets they hold is a phenomenon that continues to reward luxury brands. This past year saw an increase in the percentage of affluent households engaging in luxury shopping. At the same time, a growing number of the affluent are keeping a more watchful eye over their luxury spending. 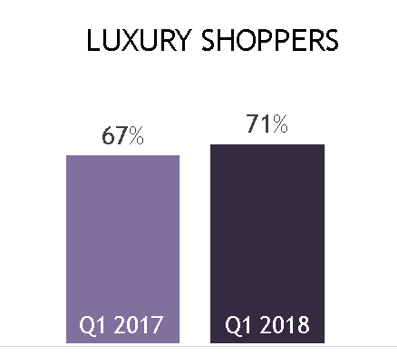 There has been a steady decline in the number of households who plan to spend more on luxury this year than last year – most notably in the developed economies. 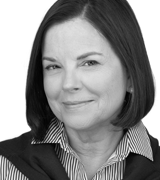 What are the factors holding luxury spending back? Only 19% of the affluent are extremely or very confident in the global economy. What’s more, with the exception of the Chinese, the affluent are no more confident in their own country’s economy than they were last year. There have been a host of shared concerns contributing to this shaky confidence -- from the future of their children to education and healthcare, from growing income disparity to the security of their personal information. Most troubling, is that 35% of the world’s wealthiest households are concerned about the security of their retirement assets—a concern that has risen over the past year. Confidence in the personal economy has seen little change over the past few years, with 44% of the global affluent saying they remain confident in their personal balance sheets. A deeper look shows that there is more at play than initially seen. An increase in personal economy confidence among the affluent in China is offsetting a sharp decrease in five of the countries surveyed. Japan, Hong Kong, France, Singapore and the UK have all seen significant declines over the past year. Despite a disciplined approach to discretionary spending, fifty-two percent agree that once you experience luxury, it’s hard to scale back. Perhaps this is because the majority of the affluent (57%) believe that luxury is worth the cost, and a necessity in a life full of concern and uncertainty. Whether they see the glass half-full or half-empty, luxury continues to hold a place in their lives.